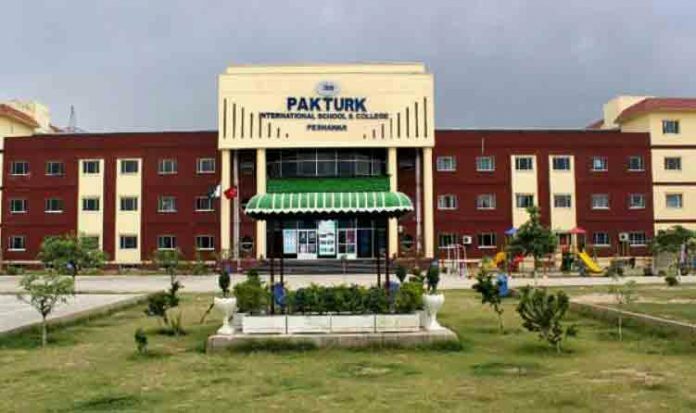 ISLAMABAD, Aug 9 (APP): Parents and Teachers Association (PTA) of Pak-Turk International Schools & Colleges on Tuesday stressed that the control of Pak-Turk educational institutions should not be transferred to any other organization as it will affect the future of its 1500 teachers. In a press conference held here, Spokesman of the Pak-Turk Rawalpindi-Islamabad branches, Hafiz Arfat Advocate said that these institutions were working in the country since last twenty years and the abilities of the Turkish teacher’s can not be challenged. The Pakistani government, he said, have cooperated with these schools & colleges after the coup in Turkey, adding, states services for children and teachers were also commendable. Hafiz Arfat said that Pak-Turk Schools & Colleges was a registered foundation and tuition fee for the students studying in these schools was very reasonable. The decision for the closing or transferring of power of the institutions would not be acceptable to Pak-Turk management, he remarked, adding that a writ has already been filed in Islamabad High Court. The spokesman urged that if the government found any one from these schools involved in illegal practices, it should take strict action against him. There was no specific group running these schools, he said and declined that no foreign funding was receiving for Pak-Turk schools. Pak-Turk Associate (PTA) in the press conference strongly condemned the recent coup in Turkey saying that it was a conspiracy against the democratic government. Prayer was also held for Quetta martyrs before the Press Conference. It is pertinent to note that, the future of private schools set up by the PakTurk International Schools and Colleges network plunged into uncertainty after Turkey’s ambassador called on the Pakistan government to close down all the institutions backed by the Fethullah Gulen-inspired Hizmet movement. The network of 28 schools and colleges in Islamabad, Lahore, Quetta, Karachi, Hyderabad, Khairpur and Jamshoro has staff strength of 1,500 who teach around 10,000 students from pre-school to a level.